We have tried many recipes, but alas, we have struggled to find one we love. 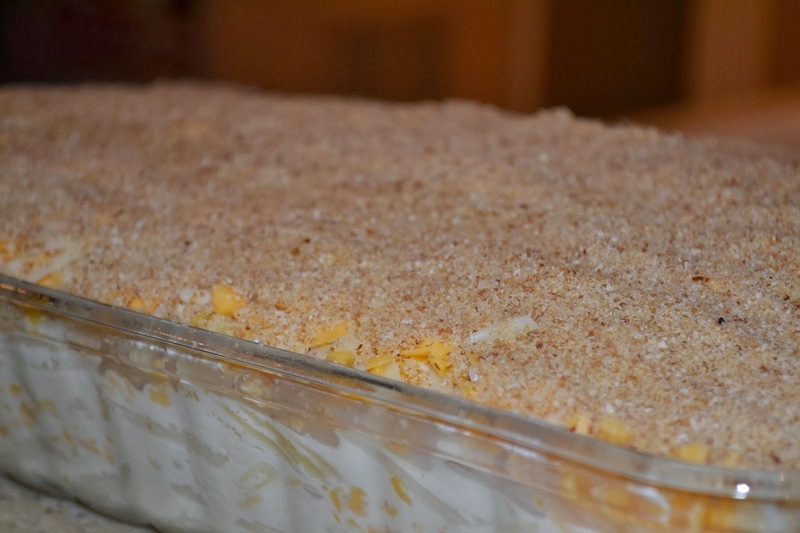 While the perfect recipe remains elusive, the last one we made was good enough to post. Our gold standard for Mac and Cheese is Community Q in Atlanta, GA. I recommend stopping in sometime if you happen to find yourself in town. 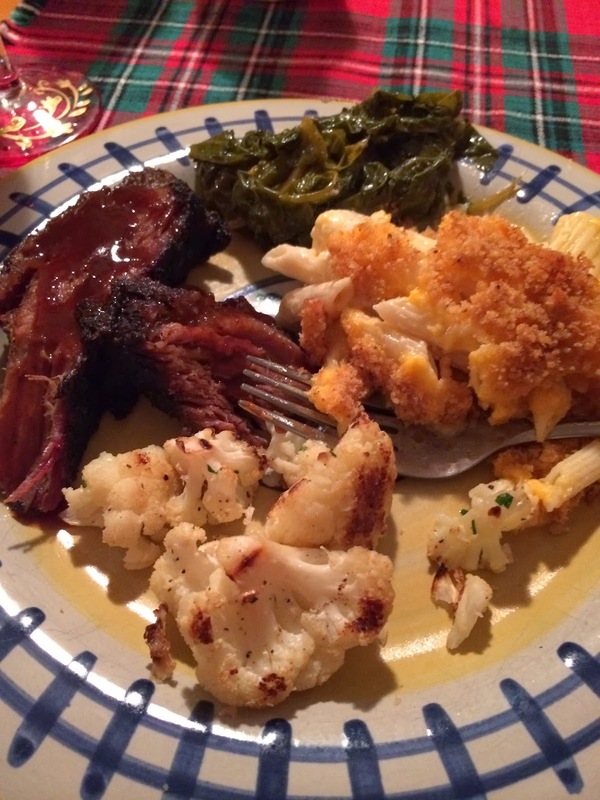 It is great BBQ, and of course, it has the best Mac and Cheese I have ever had. And trust me, I have had a lot of mac and cheese. A great side when you are making Beef Brisket on the Big Green Egg. 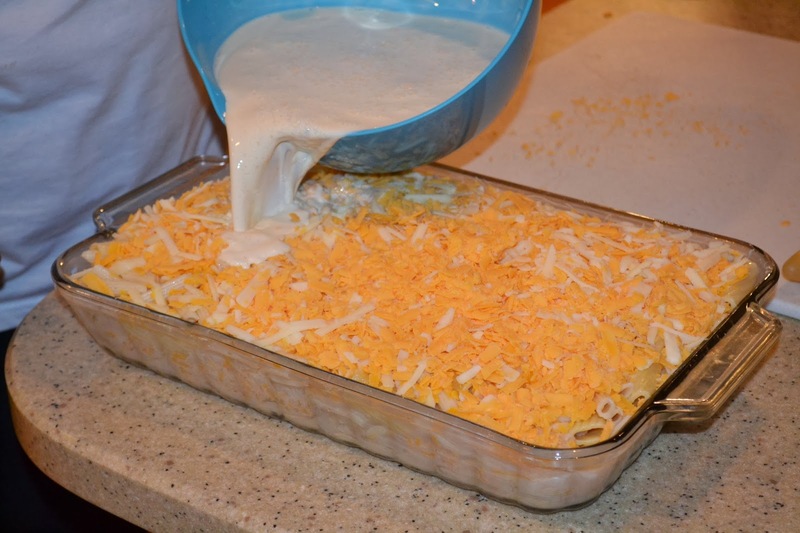 We have made a lot of Mac and Cheese over the years and have searched for the perfect creamy and cheesy mac and cheese to closely replicate the Community Q mac and cheese. This latest batch was made based on a recipe from Martha Stewart and John Legend. It looked close, so we gave it a try. 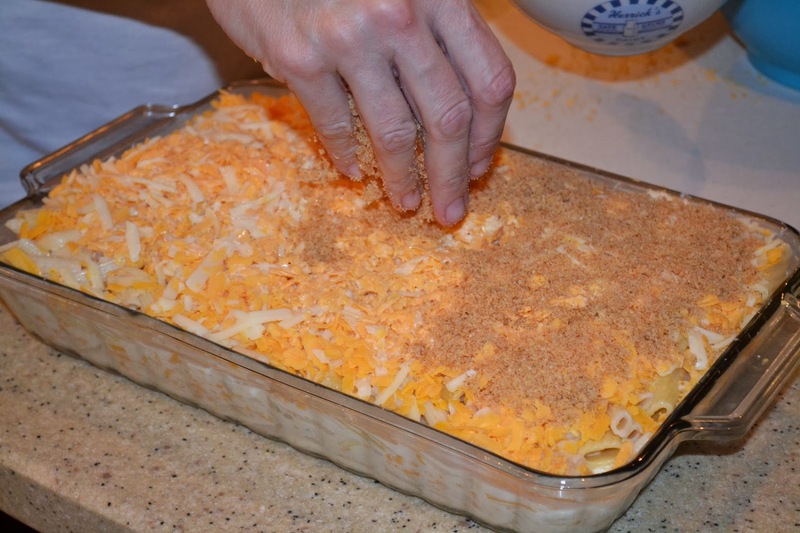 Layer in pasta and cheese, creating three layers. Pour in sauce, and then cook at 375 degrees for 45 minutes. 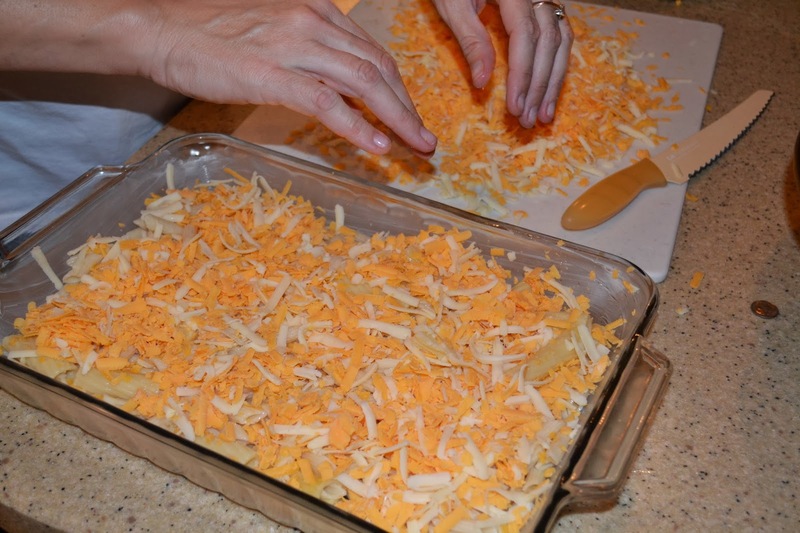 Grate a lot of cheese. 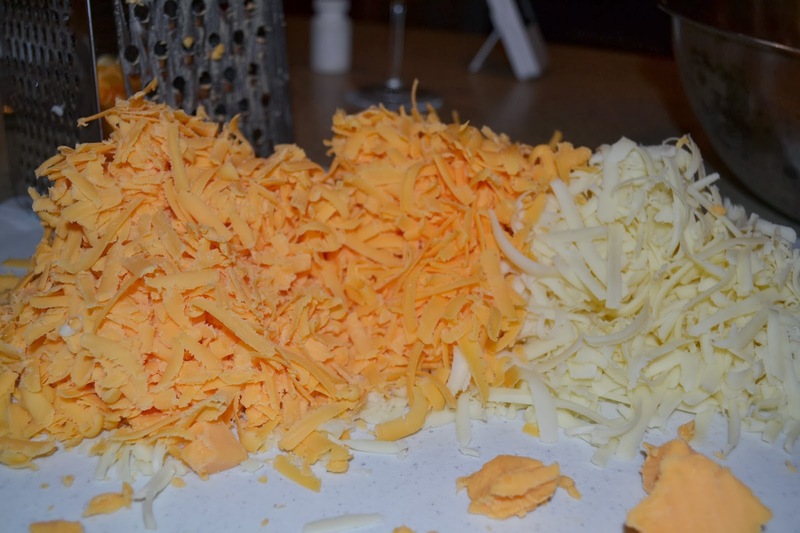 This is the sharp cheddar and monterey jack. 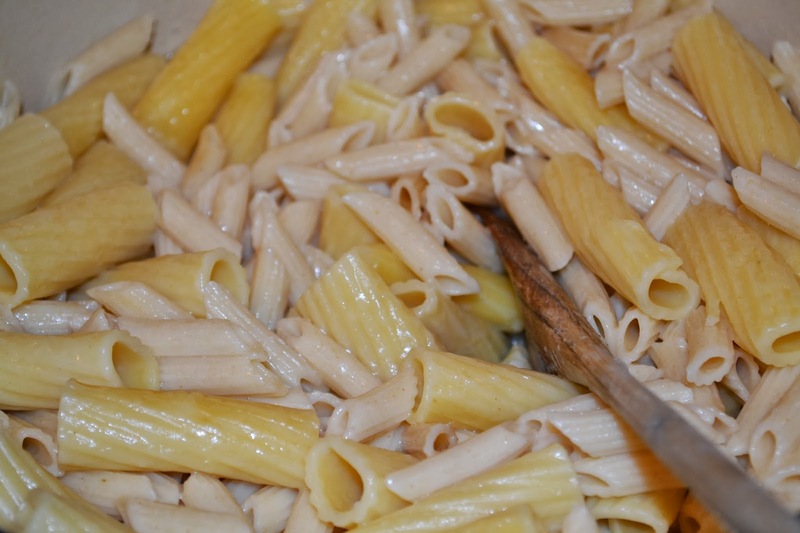 Prepare the pasta by cooking in boiling water per directions on the pasta and then drain well. We used two kinds of pasta because we thought it would add interest and texture. 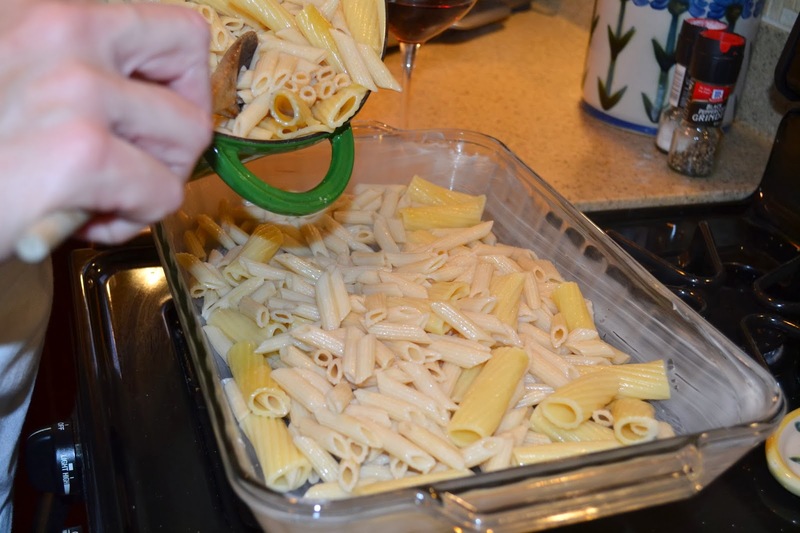 We used rigatoni and penne pasta because we had it on hand. 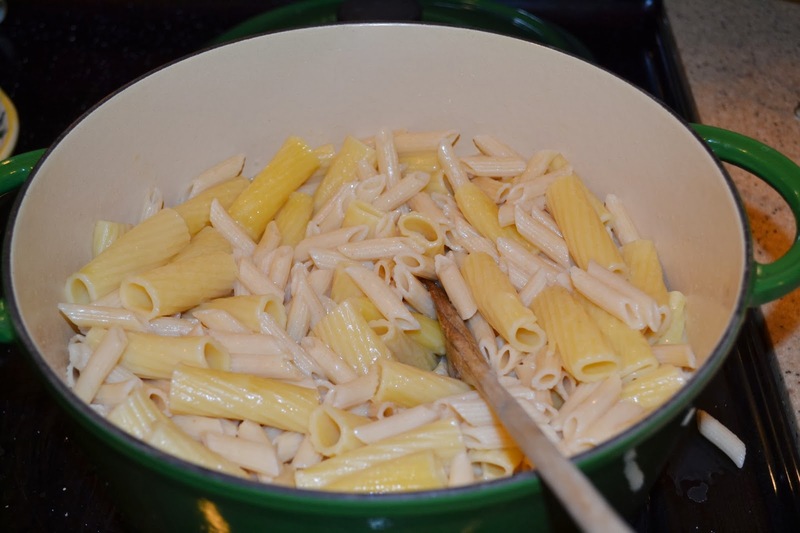 Prepare the cream sauce to be added to the pasta (everything but the pasta and cheese). 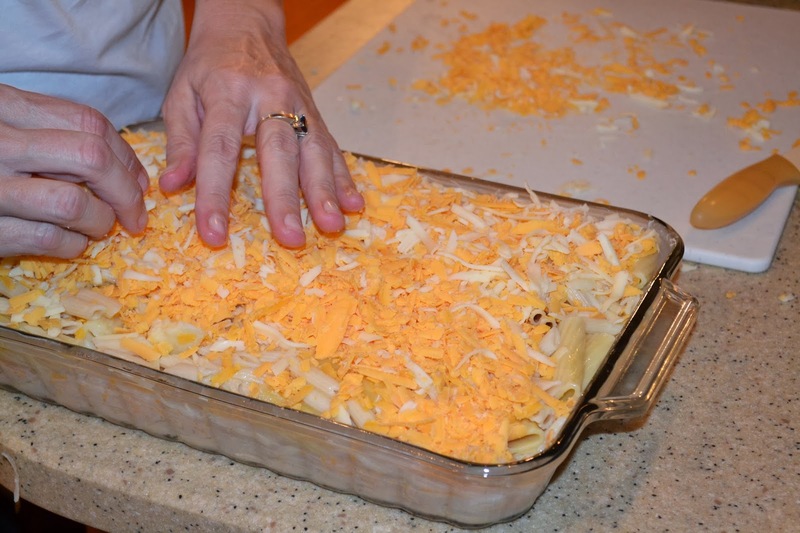 The pasta and cheese are layered into a 13 x 9 baking dish. 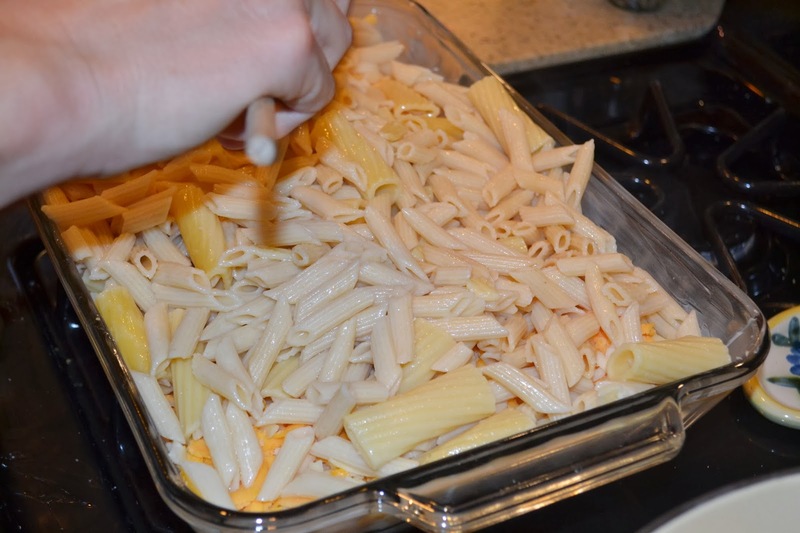 Alternate pasta and cheese layers. 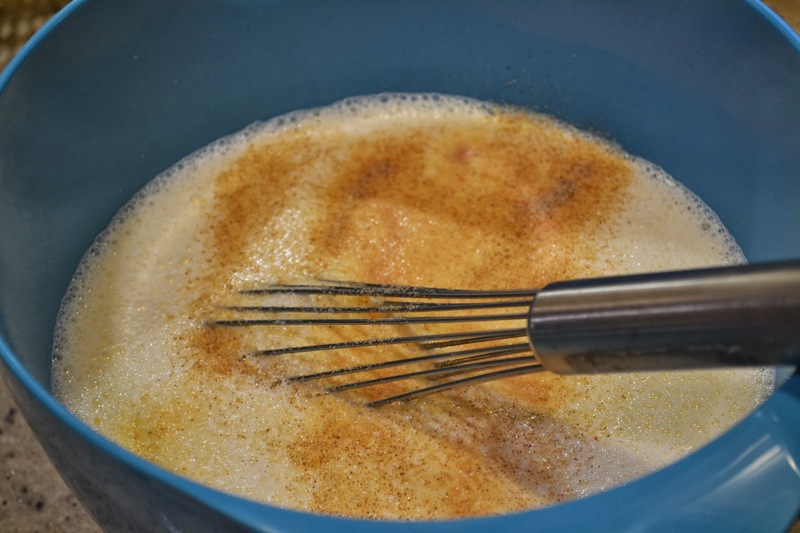 Then pour in the cream mixture. It seems like it won't fit, but it magically works out. 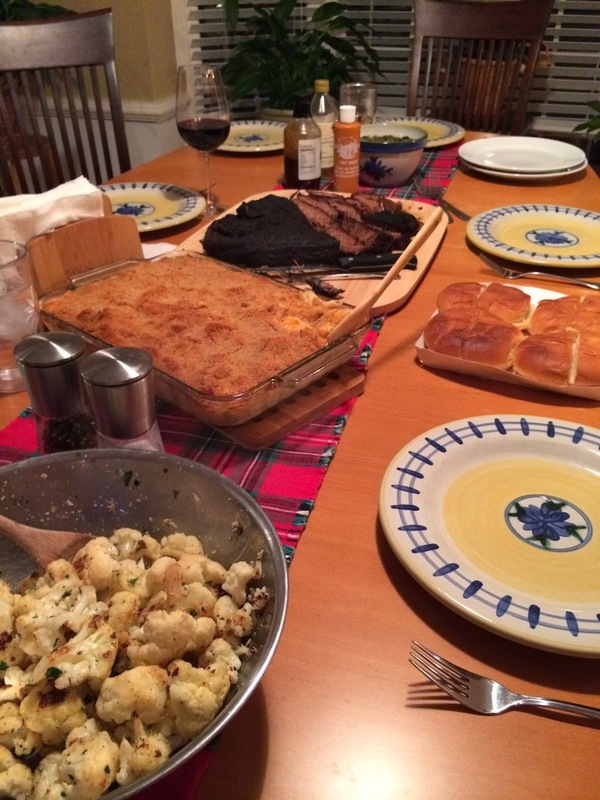 And here is the finished product ready to add delight to our brisket dinner. We really liked this one. If anything, it may have still been a little dry compared to the creamy goodness of Community Q. Still needs work, so standby, we will be making more.